KARACHI: The 7th Annual United Nations Conference on Teaching Peace and Human Rights concluded on Friday with renowned educationalist Parveen Kassim, Chairperson International Schools Educational Olympiad and Principal Karachi High School, winning the Global Educators’ award from Pakistan. Gathering teachers, administrators, future leaders and non-governmental organizations on a single platform to acknowledge leadership in education from across the world, the two day conference run by global education motivators, teachers and educators served to highlight the role of educationalists from Karachi, Pakistan; Chennai, India; Burnaby, Canada; Mexico City, Mexico; Manila, Philippines and the US, whilst highlighting inspiring initiatives world-wide towards promoting and teaching peace within the classrooms. 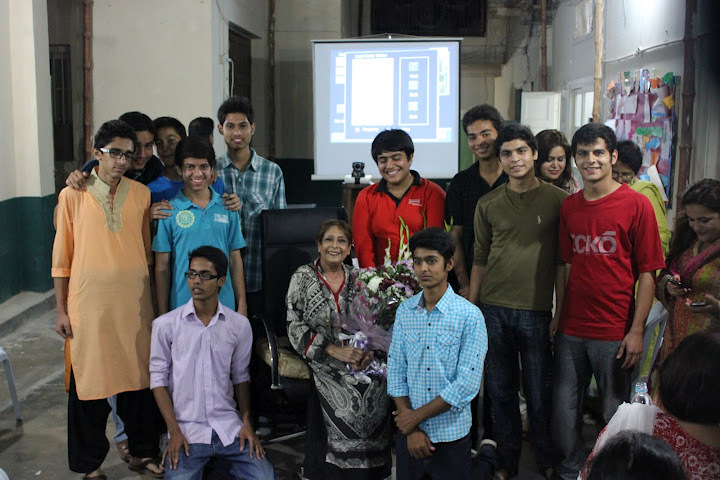 Nominated for her notable contribution over the last two decades towards bridging distances, and gathering students from Pakistan and across the world including youth from India, UK and Australia on a single platform to boost shared learning, competition and healthy interaction through the yearly educational meet hosted by Karachi High School, every year, the global educator’s award is a tribute to Parveen Kassim’s commitment to promote innovation in education in Pakistan by extending learning across borders and beyond the realms of the classroom. Further acknowledged for Karachi High School’s active partnership with the British Council’s Connecting Classroom initiative aimed at forging lasting partnerships amongst schools in the UK with others around the world, Parveen Kassim won laurels for Pakistan at the conference for breaking geographical barriers by promoting peace and instilling a sense of camaraderie, trust and understanding between young people from all across the world. Do you mind if I quote a couple of your posts as long as I provide credit and sources back to your website? My weblog is in the quite same niche as yours and my visitors would genuinely benefit from a lot of the details you provide here. Please let me know if this okay with you. Thank you!